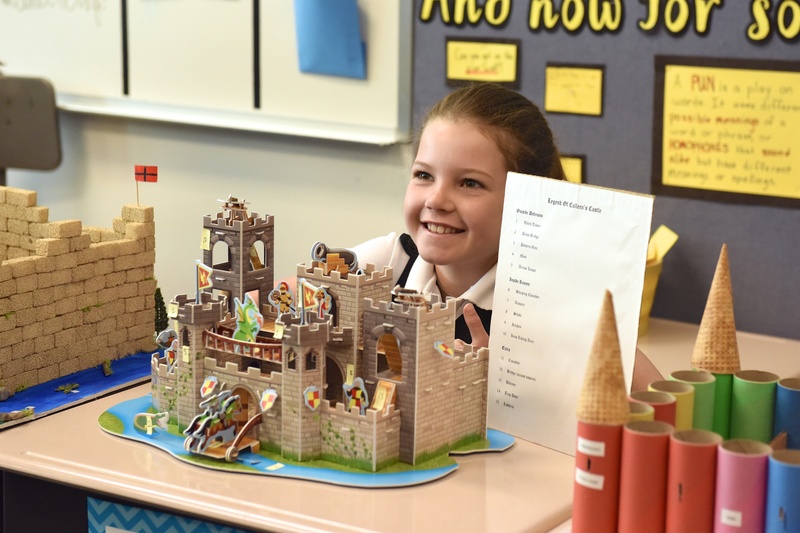 Ask any graduating Senior what they remember about fourth grade, and chances are you will hear the same answer from many of them: castle building, knighthood ceremony, World Fair, and the medieval feast and fair. These activities are planned as the culminating and crowning exercises for the larger units of Class IV studies in history. 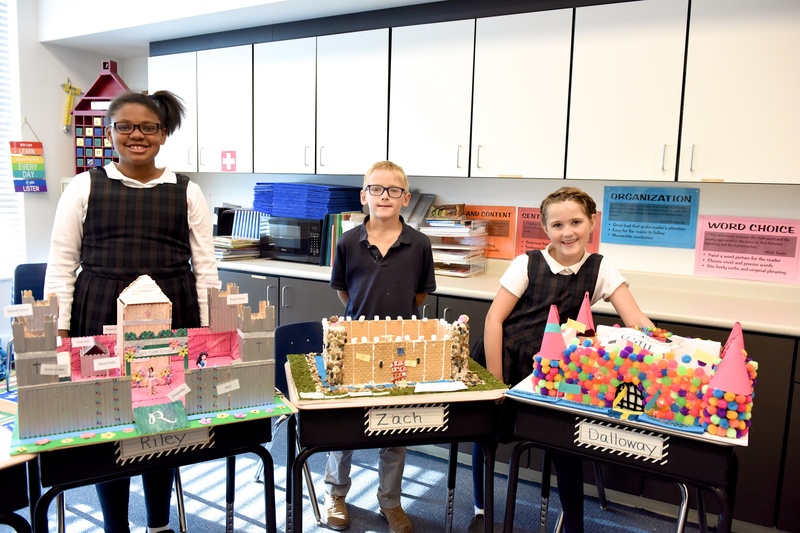 Students identify 20 different parts of their unique castles. The castle building project is a favorite in Class IV. Bring on the gingerbread, oatmeal boxes, model magic, and unused computer parts. Students use their innovative juices to create a castle of their own imaginations. Students label 20 different parts of their castles after completing their masterpieces. We then have Class III and V students come to our classrooms to view the castles. It’s incredible to take it all in--some castles come complete with real moats! Castle Day truly celebrates the hard work of each student. Students wait to be knighted by Class IV teacher Deanna Williams for good deeds. When we teach the code of chivalry in our medieval knight unit, each student chooses seven services they must perform in their families and neighborhoods. 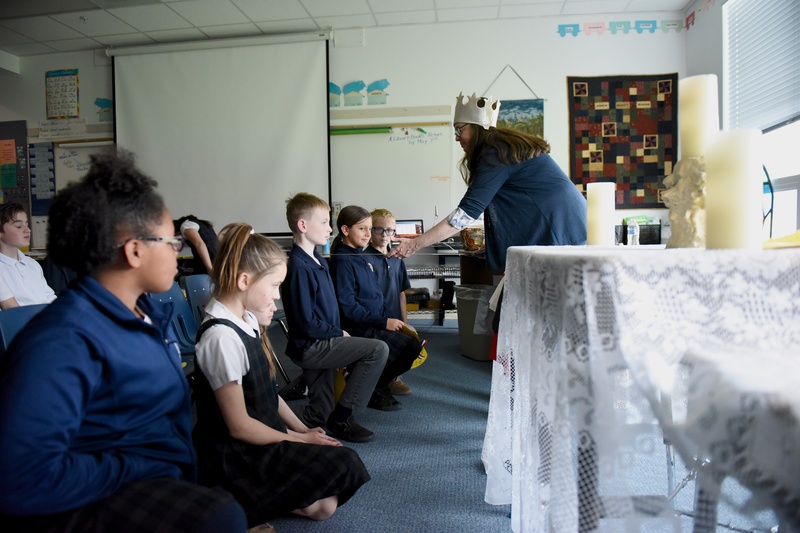 Upon completion of these services, students are eligible to be dubbed as knights by their teachers (who are now kings and queens) in a knighting ceremony. The rendered services vary from student to student, but might include helping a younger brother or sister with homework, baking cookies for an elderly neighbor, feeding pets, or making a simple dinner for the family. This activity certainly amplifies the importance of being a good citizen in all situations. In preparation for the World Fair, students research the foods, holidays, animals, land, and tourist attractions of their chosen countries, and then write their own papers at school. This research activity culminates in a spectacular display at the World Fair. Students dress in native costumes, adorn tables with souvenirs from their country, and answer questions from all who venture to their tables. After months of reading, research, and writing, they have indeed become experts! 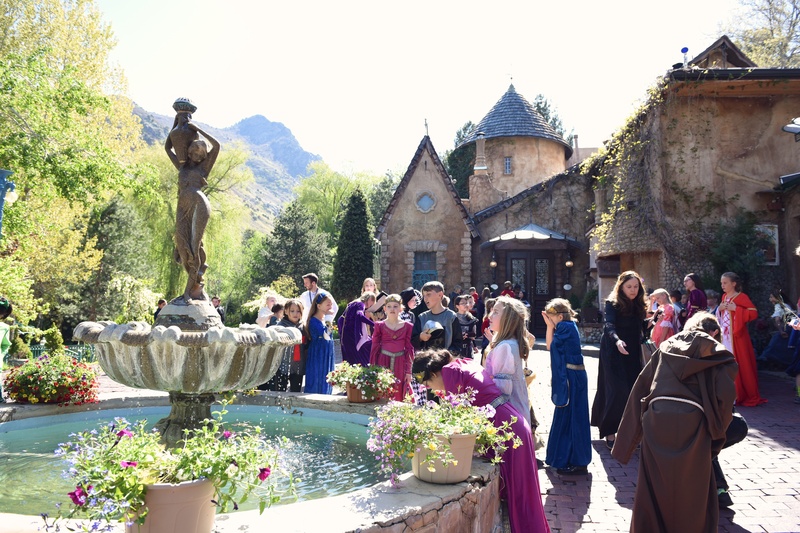 Students wander the grounds of LaCaille in their Medieval costumes. In our final activity and celebration of medieval study, we feast in Middle Ages style at La Caille. This beautiful and picturesque restaurant seems to transport students back in time for a truly memorable experience. The students dress in medieval costumes, prepare medieval songs to share with other lords and ladies, eat with their fingers on trenchers, and spend the day in activities that make medieval times pop with excitement and exhilaration.